Since the beginning of the clothing male, modern, people become the casual clothing, the formal standard. 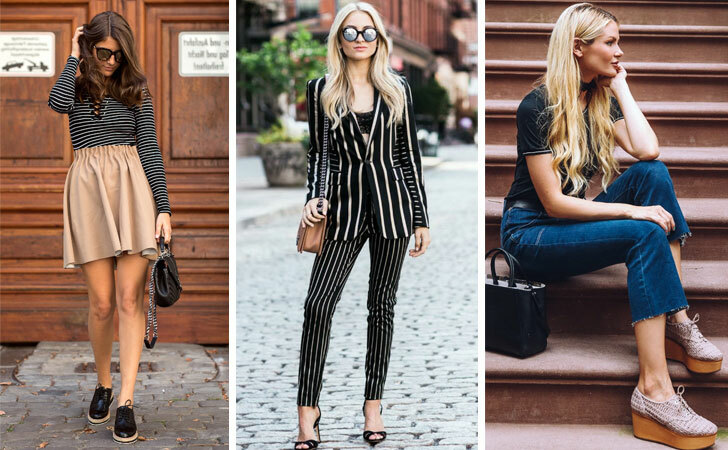 The clothes of the end of the week will be the standard in work, sports attire and work clothes are incorporated into the day-to-day, and who dressed in the field, it also started to be accepted in the city. This last, is probably one of the major changes in the apparel men’s classic. It was the end of the costumes really formal acceptance of the countryside, and the casual, in the city. No other clothing (perhaps the wool tweed) reminds me more of the interior of England as a boot brogue. And the Trickers of Northampton, is the factory that comes to my head when I think of a good brogue. A pair of boots Tricker’s , a rifle, a fall day in the field, and you have your tickets guaranteed. These boots have survived the test of time, as well as the brand of 1829. The brogues are a great example of a traditional style adapted to the way modern dress, and the Tricker’s evolved without leaving behind what made it such a great product. 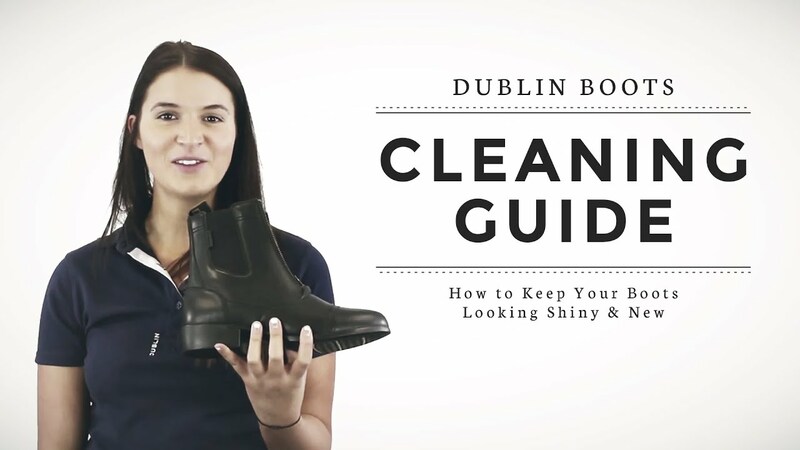 The most famous stores that sell Trickers are not shoe stores traditional. several places that sell Trickers do not sell a suit of English wool cold with visual professional, and show the shoes always combined with casual wear, in the way that a running shoes would be used, for example. To see that the Tricker’s continues to make the classic models with the tough construction in English. Vibram soles and crepe, which can not be sewn completely with the machines of the process of goodyear welting traditional, glued to a thinner sole, which is stitched to the welt and the leather. Already the soles of rubber dainite and tratoradas, are sewn together usually in the process goodyear, and the viras high “storm welt” keeps the boots impermeábilizadas in any storm. This is a detail that I like in the products of them. There are two types of brogue: the originals, that they were casual shoes, the countryside, and the formal, that came later in the form of decorations to oxford shoes more fine and elegant. 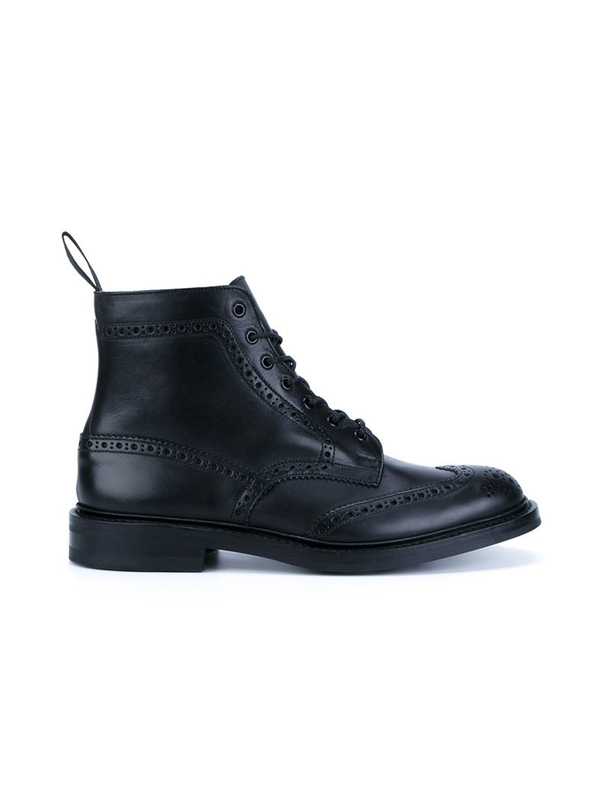 I like the brogues casual that has a format that corresponds to the style of the shoe. 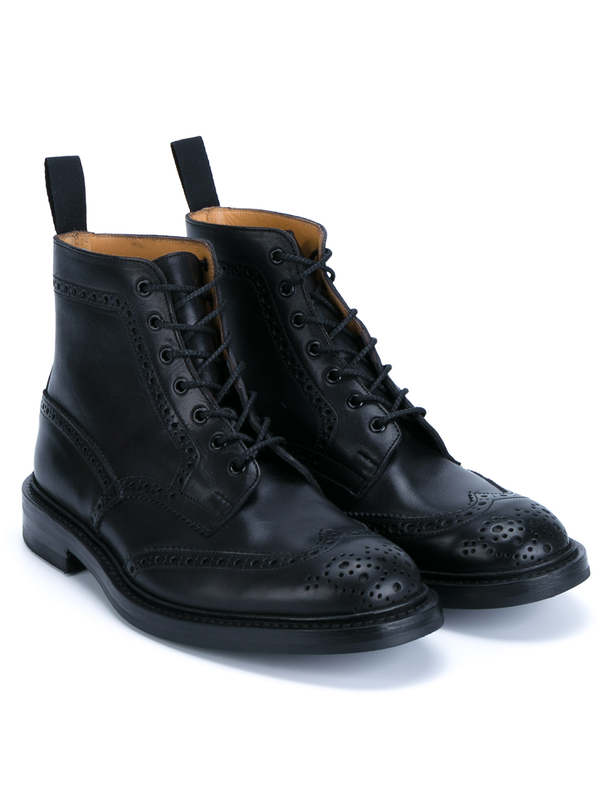 There is nothing delicate in these shoes and boots from Trickers: The details are prying: the leather sole is double, the turns of wide leather and high-type “storm welt”, the cleat pops out of the boot on the sides, and the perforations brogues are so large that they barely fit in the toe cap, all in the way that a brogue classic should be.These were the shoes to kick the mud, not to soften carpets. Are shoes and boots brogues heavy, to resemble a tractor, and they have a leather orange called the “C-Shade” that I have never seen the equal. That hardness of the shoes attracted the lumberjacks urban today, but unlike some other brands, “heritage”, which resist change, the Trickers also went on to produce their classic models by using colors and materials that would never be on the feet of a highlander of the scottish past decades. If you will drive a tractor through the city, why not decorate it like a float? Has red boots, green, blue, chamois, combined with shoe soles varied, as vibram, tratorado and rubber dainite; these are a few.